What I like about Avaya, Is that it is completely Playable across all platforms and devices. You can use it on any kind of the bison channel, as far as like email, chat, social media, it doesn't matter and it never has trouble like all the other systems we use at work lol. Nothing really. The only thing I disliked about Avaya Oceana Where's the initial set up, but that's because I didn't read all the directions it wasn't their fault. Via makes it really easy For all employees to connect and manage omni channel customer support without having to fight with it all the time. Well I work in a call center that uses the software, and A man is multiple lines, customize our own contact lists and outgoing number lists for different areas, and never give does a problem from log in to log out and doesn't matter how many calls whether a work 12 hours overtime or what we never have a problem with it. I really like that it is built around managing customer interactions as they are in progress. Hard to set up at first without an IT we had some conflict with the previous tool we used but that was fixed by avaya support. The application can be tricky to run on thin clients, as the power needed is a bigger portiont han on a normal PC. Increase of productivity thanks to the easy visualisation, some workstation have gone back to being single screen only thanks to it. I would have to say that my favorite feature was the color of the Avaya logo. I felt it was rather appropriate since my staff would often "see RED" (with anger). Always crashing, always failing, and most importantly, it was NEVER their fault... which is why the downtime would be hours if not days. How much time ya got? It's an incredible waste of time and money. I can't believe I was duped into the "we come from AT&T" salespitch -- They come from AT&T in the same way that I come from George Washington! The problems PRESENTED by Avaya far outweigh the benefits provided. Again, terrible terrible company with faulty software. The interface is pretty neat. I only use it for phone calls but it looks like it would be very useful for other usage as well. I always have to recalibrate my settings every time I have to make a phone call. My headset is never just ready to go and I feel like I'm always having to fiddle with my settings. I love not having a phone on my desk and just being able to type in phone numbers from my computer. * We monitor all Avaya Oceana reviews to prevent fraudulent reviews and keep review quality high. We do not post reviews by company employees or direct competitors. Validated reviews require the user to submit a screenshot of the product containing their user ID, in order to verify a user is an actual user of the product. Hi there! 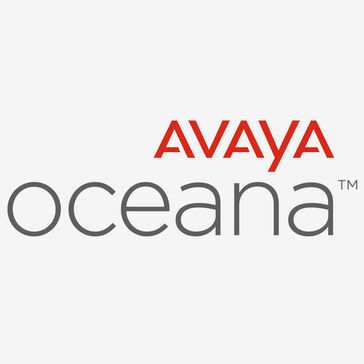 Are you looking to implement a solution like Avaya Oceana?